1. 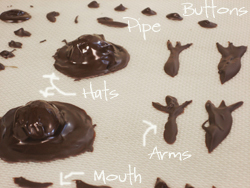 I melted down about 100 grams of 70% chocolate and used a spoon to fashion the buttons, arms, mouth, and pipe. I used a flexible baking sheet, but you could also use baking paper. Wait until its completely cold before using a knife to separate it from the sheet. 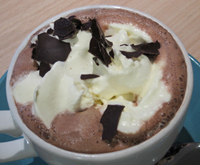 Handle the pieces as little as possible, or they will melt – body temperature is higher than the melting point of chocolate! 2. The hats I made by spreading the chocolate in a circle for the brim, then cutting a chocolate truffle in half and placing it on top. 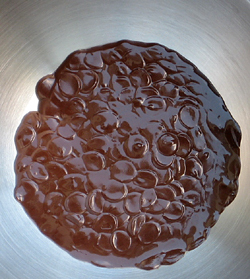 Finally, I coated the chocolate truffle with some of the melted chocolate. 4. 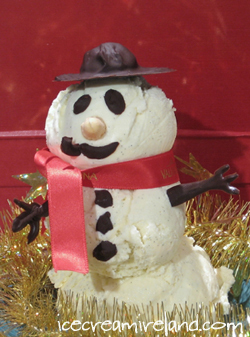 I scooped three scoops of vanilla ice cream onto the saucer to make the snowman. I pushed a plastic spoon into the body to give it a spine and help keep it together before I put on the final scoop (the head). 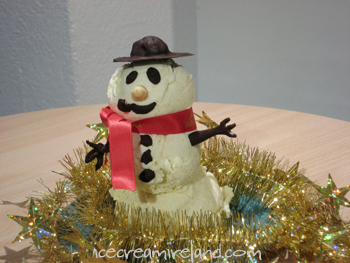 I then put the snowman back in the freezer to harden it before decoration. 5. I decorated it with the chocolate shapes I made, the bottom tip of an ice cream cone for the nose, a bit of red ribbon for the scarf, and put it back in the freezer. That’s it! Â Today I loaded in 50,000 of our new tubs. We’ve printed the top four flavours with a photograph, which will hopefully make it easier for our customers to find flavours. We have also switched to a taller tub. 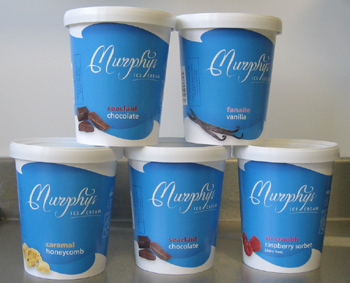 They will be in the shops as soon as we get the labels for the lids! 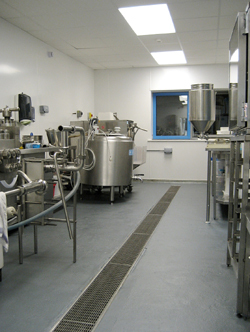 Other courses for the future will include brand development, digital photography for food producers, packaging, etc. Contact details for the courses are here. Bibliocook, Bubble Brothers, Conor O’Neill, Diet Cast, Martin Dwyer, Random Grub, Ummera, Where’s the Salt. Am I missing any? Why aren’t there more? 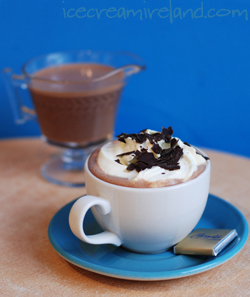 A Sweet Cure for Hangovers? Â Given that it’s the weekend, and there might be a few around with woolly heads, I thought it might be pertinent to write about a product my brother found. 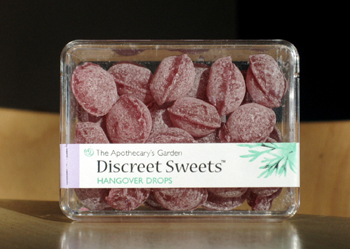 We’re now stocking Discreet Sweets Hangover DropsÂ in our shops. I wouldn’t know too much about their curative properties, but they do contain panax ginseng, which could well help mental acuity. 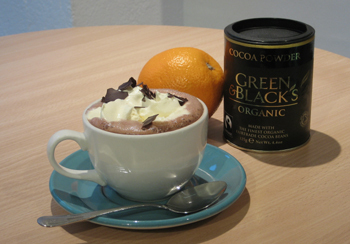 They are fully natural, also contain bramble, orange, raspberry and rosehip, and the red colour comes from beetroot. I’m going out tonight, so maybe I will test them tomorrow together with a cappuccino!